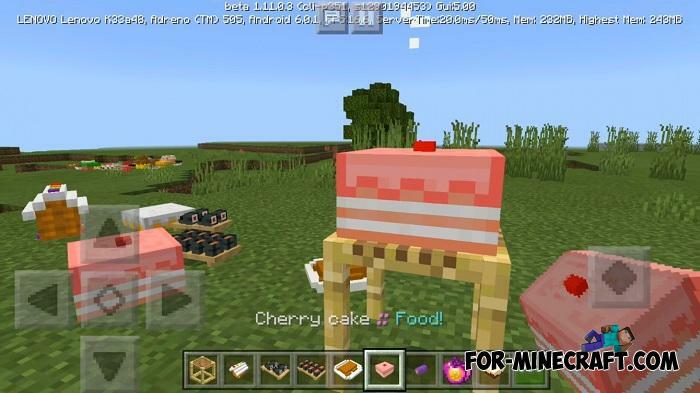 A delicious and delectable table on which there are completely different dishes and not just a cake is the More Food Addon. Instead of several types of food, it adds about 50 ready-to-eat (but only externally) foods. 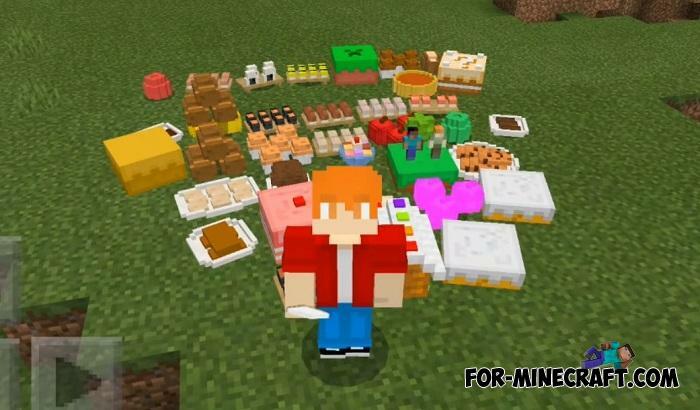 Using them you can set an incredibly rich and very tasty table for invited guests or for role-playing situations. But as a minus is the inability to eat new food, you can only admire it and take screenshots or show off to friends, decorate the kitchen, etc. 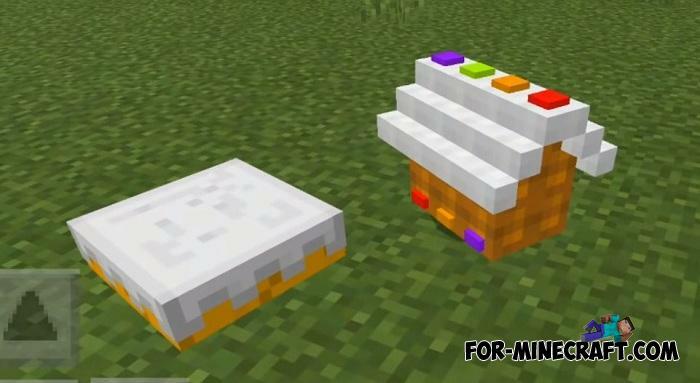 If you need a mod that will make you not only a culinary specialist but also a farmer, while you can grow as well as use and cook food, then you will need the Pam's Harvest Craft PE Mod for Minecraft PE. 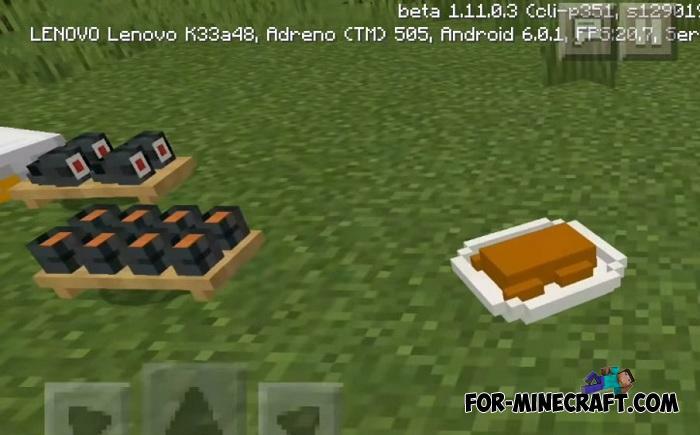 How to install the More Food Addon? 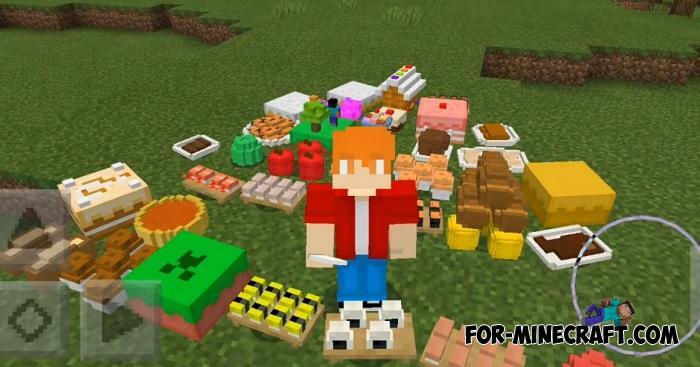 Den's Tasty mod (MCPE 1.2+)You can download the Den's Tasty mod which adds about 200 new foods and cooking utensils! 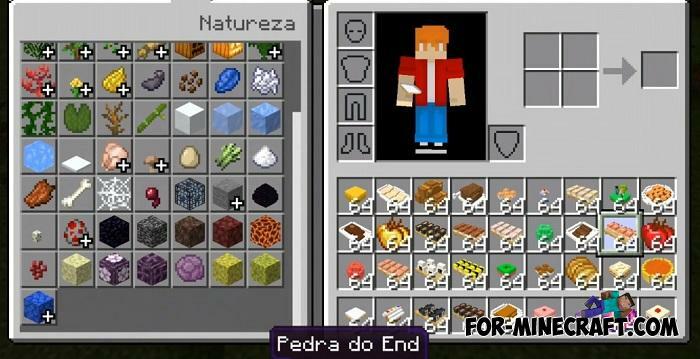 All food has beautiful icons and real names, as well as crafting recipes..